Hapag-Lloyd is to offer a choice between a standard or premium product across some of its service routes. The move follows an extensive market research survey by the carrier which revealed that more than 50% of respondents showed “a willingness to pay more” for a higher-quality offering. 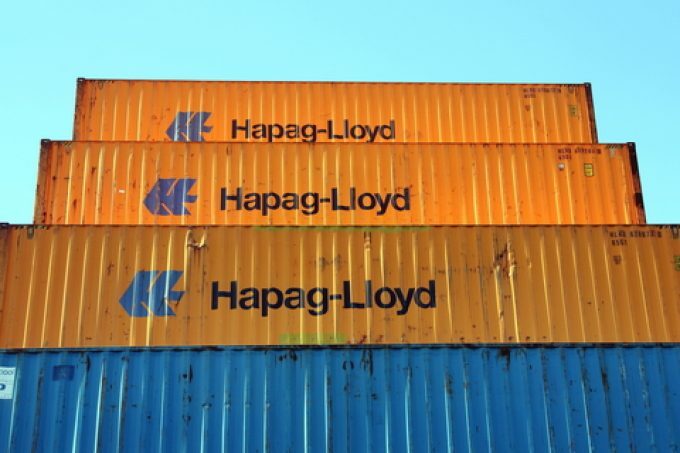 Hapag-Lloyd is convinced shippers actually mean what they say this time, despite the failure of previous premium products in the market, notably Maersk Line’s Daily Maersk offering. The Danish carrier launched its guaranteed space premium product in 2011, but four years on it had found that “customers were not willing to pay a higher price for better service”. Hapag-Lloyd’s Strategy 2023, unveiled at its first Capital Markets Day at its Hamburg head office yesterday, aims to set the carrier on a course for “quality, selective global growth and profitability”. He said: “We don’t see any further consolidation within the top six or seven carriers, but there could still be smaller players picked up by one or the other. Mr Habben Jansen outlined the three “overarching goals” of Strategy 2023: be profitable throughout the cycle; expand in key growth markets (taking its total global market share towards a target of 10% from the current 7%); and be number-one for quality, thereby focusing on having the best-paying cargo onboard its vessels. In order to achieve its profitability aspirations, “not only in the good years, but also in the bad”, Mr Habben Jansen revealed a new cost management programme that targeted an annual saving of between $350m and $400m. These would come from “network optimisation, terminal partnering and further improvements in procurement and container steering”, which includes reducing transhipment, empty equipment moves and feedering. Hapag-Lloyd also pledged more investment in digitalisation and automation, with a target of increasing its share of the online business via its web channel to 15% of its volumes by 2023, from the current 5% or so. So should we expect paying more in order to avoid roll-overs? That’s the idea Angelica, a space guaranteed rate, others have tried it with limited success. Do you think that Hapag’s plan will succeed?